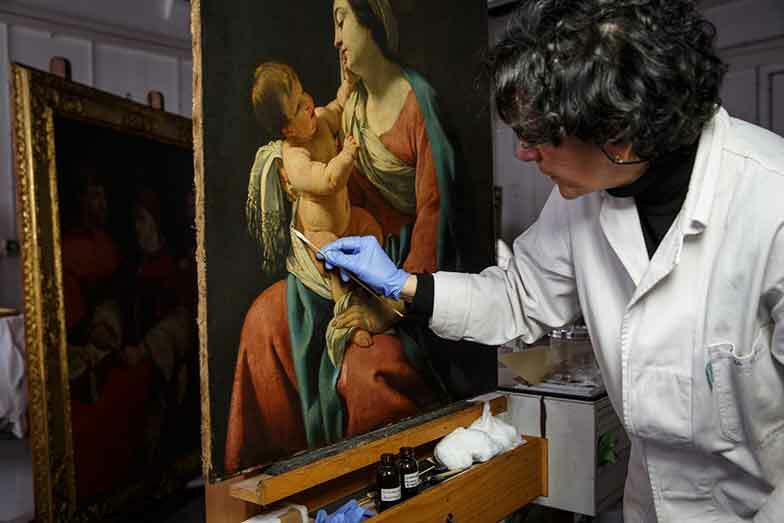 The Conservation Laboratory at the Barberini Corsini National Galleries has been active for over 90 years. 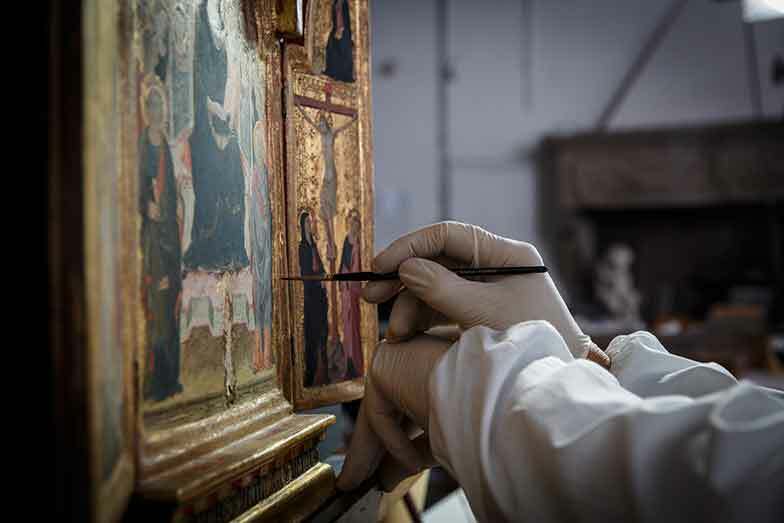 The conservators in the lab primarily restore paintings on canvas or wood, in addition to mural paintings, stucco works, paintings on copper, works on paper and parchment, stone and clay. 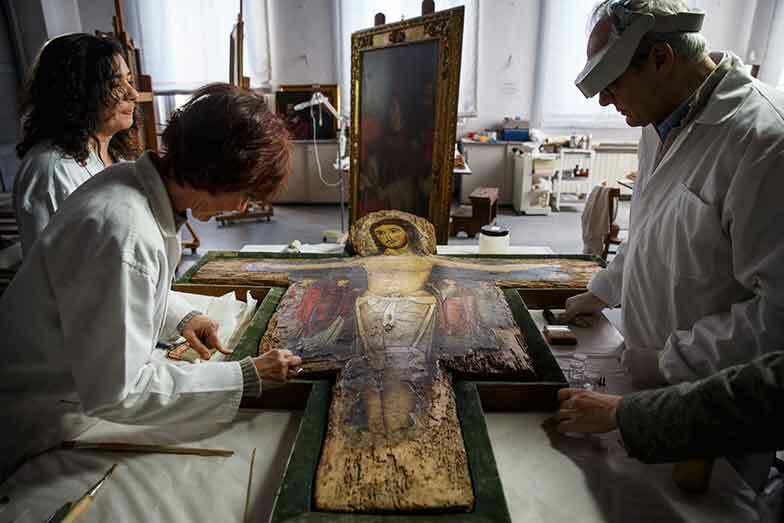 Among the laboratory’s specialties is the conservation of antique musical instruments, especially plucked string instruments. 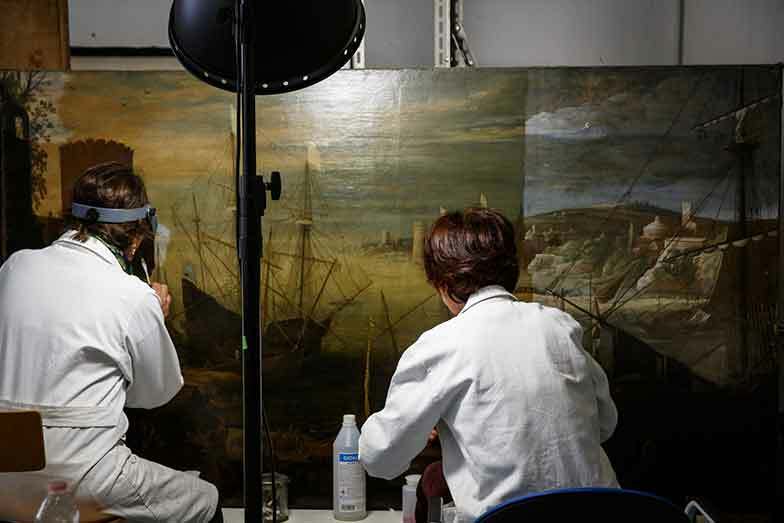 The twelve conservators in the lab are also involved in the installation of exhibitions, the development and updating of condition reports for works of art in the collection located either in the museum or on deposit in other locations, both in-house and externally, and the research and development of solutions for specific conservation problems.